I’ve been nominated for another award! To say I’m delighted is an understatement 🙂 I want to thank my lovely nominator Holly Robinson-Crane from happyhollife . Check out her blog, she covers everything from lifestyle and beauty to personal experiences that she’s been through. 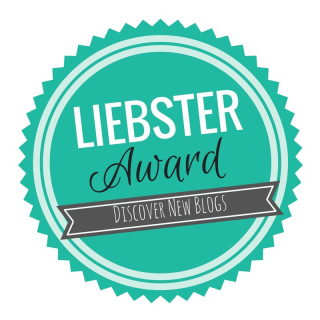 This award was created by Okoto Engima, who explains why it was created over on his blog (okotoengima.wordpress.com). I love the idea of this blog because it means you guys get to learn a bit more about me and I get to learn a bit more about you! Display the logo and list the rules. Share links to your best/fav blog posts. Tell your followers 3 things about yourself. My passion for shoes is slightly scary to the point were I have over 40 pairs, but I’ve worn them all! What’s your 2017 follower goals? What are you doing this year that will make a GREAT blog post? I’m going to be introducing Fashion into my posts! Or trying to at least 😛 It’s so hard to take good photos of clothes without wearing them, and I’m honesty someone who doesn’t like being photographed. Once I figure out a good way of taking the photos I’ll definitely being doing more haul posts. What’s your favourite moment from 2016? When I was contacted by my first PR company and sent my first official product for review! It means so much that PR companies think my blog is good enough to showcase their clients products so that was defo a high for me in 2016. If you had 1 Million pounds and had to spend it-no savings-what would you spend it on? In all honesty I think I would just send it all to Syria. I am very lucky to be fortunate that all my close relatives live with me in safety here in Ireland. The same cannot be said for my extended family like my aunts and uncles and their children who are living the life of the civil war that is currently destroying their country and homes. They need all the help they can get :(. How and why did you first start your blog? If you could anything at this very moment, right this very second, what would it be? What’s your current favourite TV series to watch?